January 15, 2005 The 90 foot Big Valley sank 70 miles west of Saint Paul with only one survivor; Cache Seel. Lost were skipper and owner Gary Edwards, Josias Luna, Aaron Marrs, Carlos Rivera, and Danny Vermeesch. January 15, 2005 Manu Lagai Jr was lost after being struck by a crab pot and knocked overboard from the 134 foot crab fishing vessel Sultan. A second crewmember donned a survival suit and attempted to rescue Lagai, but was unable to hang on long enough. March 15, 2005 Leroy Martin (47) and his son Frederick Martin (20) were lost with the 19 foot fishing vessel Rocky Pass at Point Wilson in Chatham Strait near Angoon. The two were on a trip from Kelp Bay to Angoon. April 22, 2005 One person was lost and one rescued from the 38 foot fishing vessel Tania Dee 60 miles south of Sitka. The vessel was longlining for halibut off of Cape Ommaney when it sank releasing and EPIRB and initiating a search. The fishing vessel Christina rescued the only survivor. April 27, 2005 Four persons were lost and two survived when an unnamed 18 foot whaling skiff capsized eight miles off shore near Gambell on Saint Lawrence Island in the Bering Sea. Jason Nowpakahuk (38) Mayor of Gambell was at the helm of the skin boat and was lost along with his 10 year old daughter Yolanda, his 11 year old nephew Leonard Nowpakahuk and James Uglowook (20). 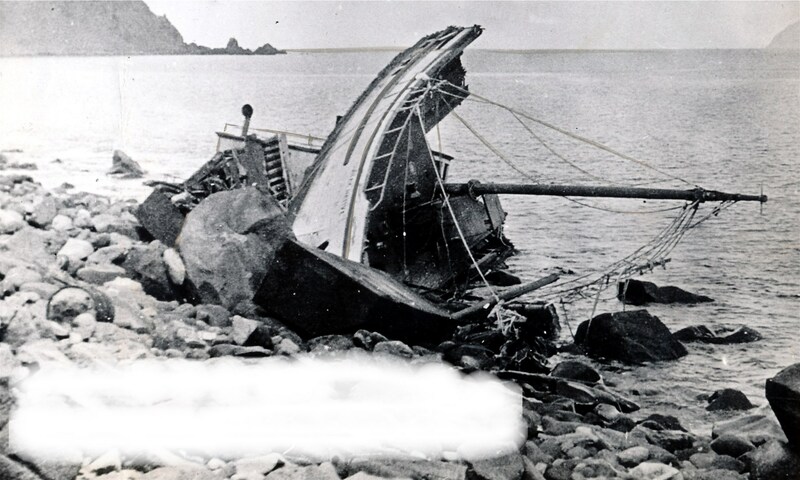 April 30, 2005 38 year old Larry Judy died when the 42 foot double end troller Sefora collided with the dock and another vessel in Sitka and sank. May 30, 2005 A crewmember died from insulin shock aboard the fishing vessel Midnight Sun. June 14, 2005 One crewman was lost near the mouth of the Cinder River from the 32 foot bowpicker Diane Carol. July 6, 2005 A 37 year old female crewmember died aboard the Aleutian Falcon as it was anchored off Clarks Point in the Nushagak River of Bristol Bay. August 1, 2005 Matthew Trosvig fell overboard and was lost from the 46 foot tender Grayling near Akutan. August 30, 2005 Mark Allen Smith was lost from the 32 foot gillnetter Home Fire. Smith was the only one aboard the vessel and it was speculated he went overboard while attempting to anchor 18 miles south of Juneau in Slocum Inlet. August 31, 2005 Myron Rapacz was lost when the 32 foot gillnet fishing vessel Cory B sank near Coffee Point in Bristol Bay. October 14, 2005 The 53 foot fishing vessel MRS capsized and sank in Clarence Strait while pot fishing for shrimp. Ryan Miller of Wrangell was lost and 2 other crewmen survived.